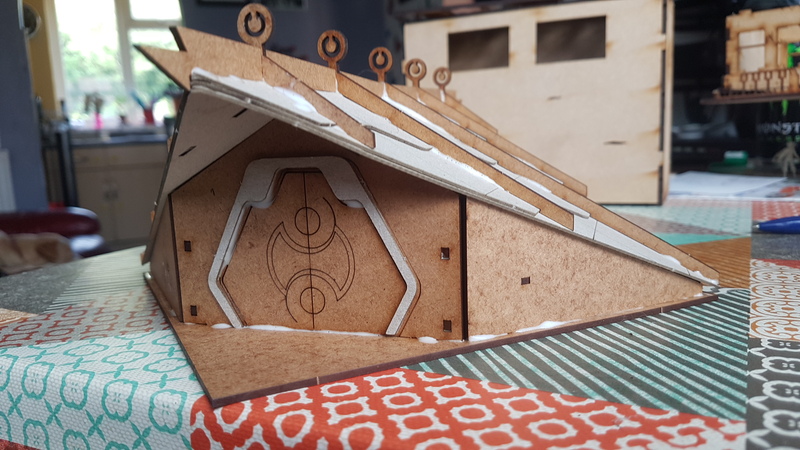 Sarissa Scenery does some really nice kits that span multiple genres, hopefully I will be able to get some of the wild west stuff in shortly but for now I have a Ghar slave hut to look at, the kit which is all mdf and some card goes together really quickly and looks great. All the parts slot together really easily and to be honest you could, with the exception of the roof, store this flat packed but that being said i am not sure how much of a battering the wooden pins on the walls could take before snapping and without a lot of messing around I think magnets would be very much out of the question. 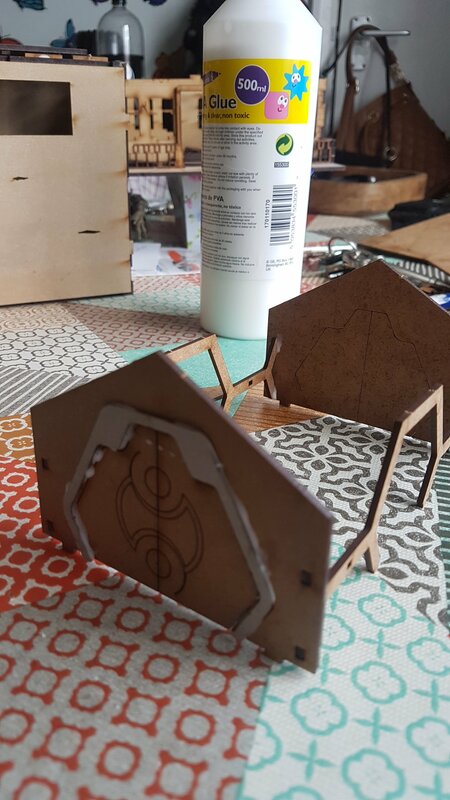 The instructions are clear and concise the build really didn’t take that long, it probably take the PVA glue longer to dry than it did to assemble the hut, the trickiest part being trying to keep the roof (which is made of a thick ‘greyboard?’). So far I have managed to get this one built up and an undercoat sprayed on it, I went for a metallic red from a local car dealers although I am not 100% sure that it is going to work as anticipated. One cool thing about the Ghar Slave Hut is that there is plenty of room on the base to add some extras to the interior of the building make it fit in with the table. It would have been nice and I might actually do this myself is to have a slightly over large base to get some model clay on it and some aquarium plants (the plastic type not the real stuff) and get a bit of scenery done on the surrounding base of the building.